Annette Giangiacomo, MD, is an associate professor, in the section of Glaucoma at Emory Eye Center. 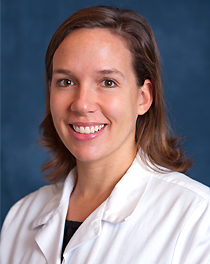 She joined the faculty in September 2008 and provides patient care at Emory Eye Center, Emory University Hospital Midtown's Medical Office Tower, and Children’s Hospital of Atlanta at Egleston. In addition, she teaches at Grady Memorial Hospital. Dr. Giangiacomo is board certified in ophthalmology. As a member of the Glaucoma service, her clinical focus is the medical and surgical management of all types of glaucoma. Locally, Dr. Giangiacomo serves a volunteer physician for Georgia Lions Lighthouse. She is also a member of the American Academy of Ophthalmology (AAO), the American Glaucoma Society (AGS) and Women in Ophthalmology (WIO).